'They want you to play their way,' says Barça coach Eibar v Barça: Did you know? FC Barcelona have a tough looking task on their hands this Saturday when they travel to the Ipurua stadium in the Basque Country to take on in form Eibar. After two consecutive draws in the La Liga against Espanyol and Getafe, the blaugranes are now seven points clear of second placed Atlético Madrid. Coach Ernesto Valverde is fully aware that picking up three points will be no easy feat against José Luis Mendilibar’s team. “Eibar are a team who put you under a great deal of pressure high up the field and they are one of the teams in the top flight who try to play the game in your half,” said the Barça coach in his pre-game press conference on Friday at the Ciutat Esportiva. With the return of the Champìons League and the last 16 tie against Chelsea just around the corner, the Barça boss was keen to keep the focus of the weekend’s league commitments. “We are only thinking about the game in Ipurua. We know that it is an important match but following the draw against Getafe, the trip to Eibar is even more important,” said Valverde. The Barça coach was also keen to avoid complacency due to Barça advantage at the top of the standings. “When you think you have a margin for error, that’s the first step on the road to making a mistake,” he continued. 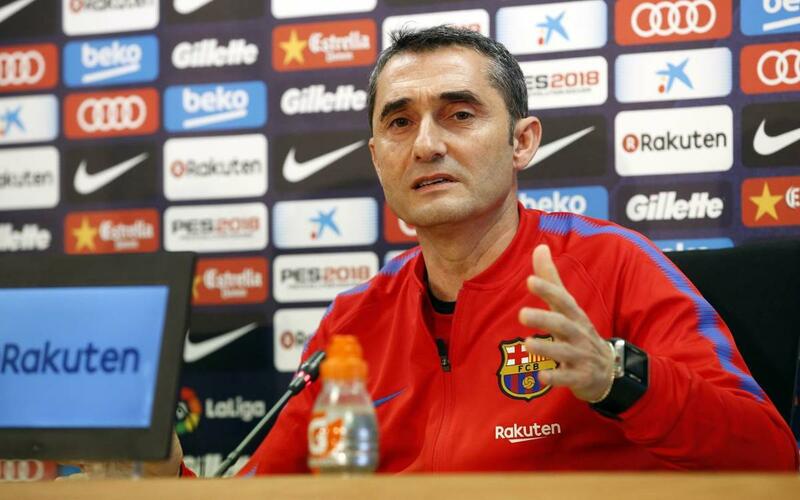 For the first time in 2018, the Barça squad have not had a game in midweek, a welcome positive for Valverde. “More than physically, it has been good mentally. It’s been good for the squad to rest mentally after quite a few weeks with Cup ties and the league every three days,” concluded the Barça coach.